Nintendo is considering getting back into the movie businesses, according to an interview by Fortune with Nintendo's game designer and executive Shigeru Miyamoto. Nintendo's most recent chief executive, the late Satoru Iwata, was already looking at ways to expand Nintendo's licensing while still taking care of their brands, and Miyamoto looks to continue that, as his group – Nintendo Software Planning & Development – will oversee the relationship between the game maker and the outside world. Most importantly, Miyamoto understands that movies and games are different beasts, explaining to Fortune that "because games and movies seem like similar mediums, people's natural expectation is that we want to take our games and turn them into movies." "I've always felt video games, being an interactive medium, and movies, being a passive medium, mean the two are quite different." "As we look more broadly at Nintendo's role as an entertainment company," Miyamoto said, "we're starting to think more about how movies can fit in with that – and we'll potentially be looking at things like movies in the future." It's not hard to see why Nintendo hasn't touched film and television since the early 1990s (with the exception of Pokémon). While the Super Mario Bros. Super Show featuring Captain Lou Albano was a rousing success, most of the company's other ventures have turned into jokes. Whether it's Link irreverently exclaiming "Excuse me, princess!" or the licensing nightmare that was Captain N the Game Master, most of their TV adventures haven't gone well. And cinema? 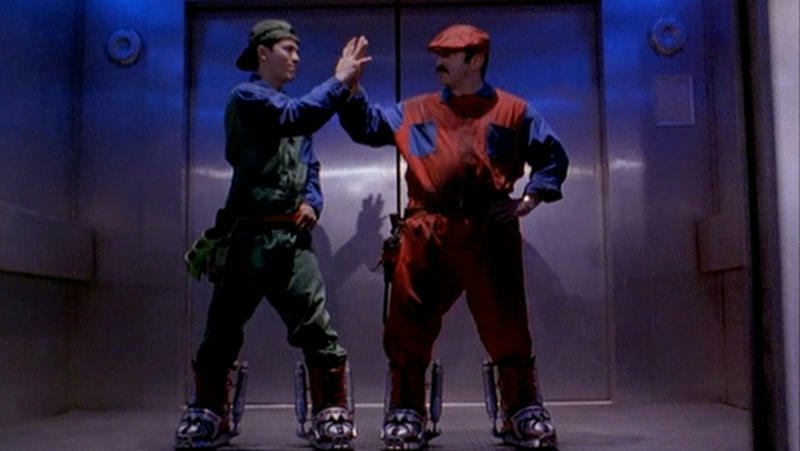 Super Mario Bros. was a horrorscape of 90s grit, bad effects, weird casting decisions, and interference by executives. In short, Nintendo was burned badly and spent a couple decades healing. Now, though, Nintendo is working on things like theme parks, and (quickly denied) rumors about television shows have flitted about, something unimaginable just a few years ago. If Nintendo retains control and we get the same kind of quality we expect from their games, the movies that come out of potential Hollywood deals could be tons of fun.